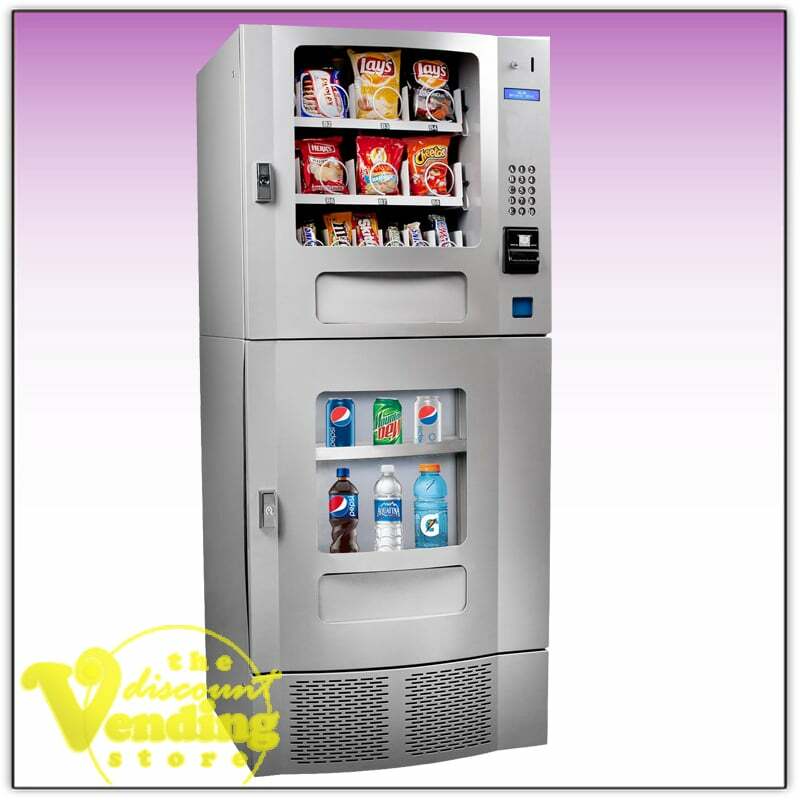 The Seaga SM22 Snak Mart Combo Vending Machine is an excellent choice when you want to combine drinks and snacks into one machine and have the cashless vending component where your customers can use a debit/credit card to purchase product. This credit card reader can double your sales without doing any extra work. The credit card reader is manufactured and serviced by USA Technologies. It provides daily, weekly, or monthly reports which track all credit card sales as well as total cash sales. This makes tracking product sales very simple and reliable. This combo vending machine is fully programmable, has a customer friendly LCD display, and will also accept nickels, dimes, quarters, $1, and $5 bills. The top portion of the combo vending machine vends snacks, candy bars, chips, etc. in its three pull out trays. The bottom portion is a refrigerated unit for the drinks which may be sized from your traditional 12 oz. can up to 20 oz. bottles. The upper snack unit houses the payment mechanisms and electronic vending machine controller on the right side of the cabinet. All of the payment components are installed on a vertical slide out shelf designed for easy access. 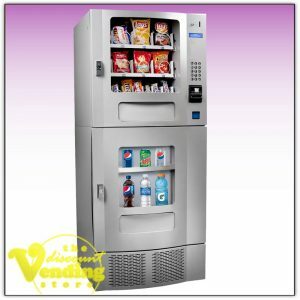 This combo snack machine will ship directly to you from the manufacturer and will include a full one year warranty on all the parts. A lifetime of technical support and assistance is also available to you as long as you own the machine. Two sets of keys, plenty of pricing stickers, as well as the owner's manual, will be included with each machine purchase. You may choose between a black or silver machine. Lifetime of Free Technical Support! 1 year warranty on all our new machines! Buy multiple machines and get a Bulk Rate Discount! We promise to meet or beat our competitor's prices! Call us for details. 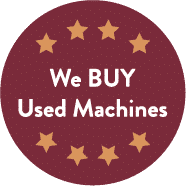 To better serve our customers we provide flat rate shipping to anywhere in the Continental United States for only $350.00 per machine which includes the handling charges. Our full size vending machines are shipped on a pallet with one of our premier freight companies right to your doorstep. Inside delivery or white glove service is not included but could be provided for an extra fee if needed. Contact a sales associate for more details if interested in these extra services. Once your order has been placed, it will typically be shipped out within 1-2 business days, and be delivered approximately a week later. We provide insurance on every shipment so you are covered every step of the way.